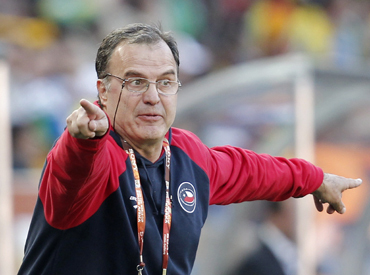 Marcelo Bielsa performed something close to a miracle by guiding Chile to the World Cup finals. On Wednesday, he did even better. He gave the country its first World Cup victory in exactly 48 years with a 1-0 win over Honduras. Chile's last victory during a World Cup finals was on June 16, 1962, when, as hosts, they beat Yugoslavia in the third-place play-off in Santiago. They have since been to four World Cups, played 13 matches and failed to win again. Thus, Biesla had a major role to play at the ongoing quadrennial extravaganza in South Africa -- Chile's first since 1998, when three draws sent them into the second round. The 54-year-old was just about the most despised man in Buenos Aires in 2002 when his Argentina side was dumped out of the World Cup in the first round. He quit two years later and disappeared from view, reportedly retiring to his farm to read books and watch his vast collection of soccer videos. 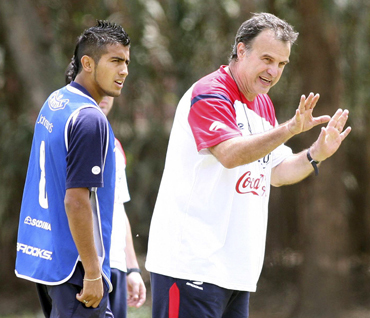 But he re-emerged in 2007 to take the reins of a Chile team badly in need of renewal. And, in just a few years, he turned a young, unruly bunch of players into one of the most refreshing sides on the continent. Chile finished second in the South American qualifying campaign, a point behind Brazil and -- to the delight of an entire nation -- five points ahead of Argentina. 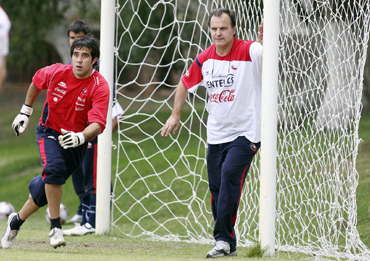 All of which has turned Bielsa, known as "El Loco" (The Madman), into an unlikely Chilean hero. As well as the vigils, politicians have urged the government to grant him citizenship. Bielsa, an Argentine from Rosario, was an unremarkable defender for local club Newell's Old Boys from 1967 to 1978 until injury cut short his career. As a coach, he guided Newell's to two league titles and to the final of the region's flagship club competition, the Copa Libertadores in 1992. He then coached in Mexico and at Spain's Espanyol before his bitter-sweet spell with Argentina. 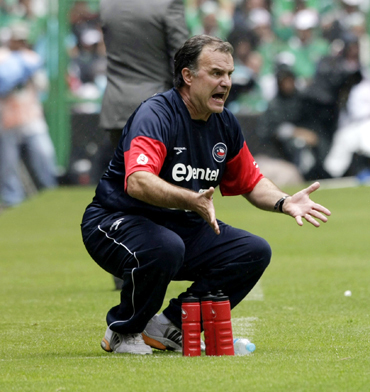 Once described by a local newspaper as "a man inside his own labyrinth", Bielsa is known for his long-winded news conferences and tortured syntax. "Human beings need to know that there's someone, the more the better, that loves them unconditionally, whatever happens," he said in one of his more philosophical moments. "That's why footballers are so distrustful, because people love them one week and then stop loving them the next." His first World Cup adventure ended in utter failure when his heralded Argentina team didn't get even get out of the group phase. This time he has already tasted success with this first win in 48 years. A good result against Switzerland in the next group game on June 21 in Port Elizabeth will be enough to see them through to the last 16. But even if his boys do not make there won't be any complaining.